Dirty Wi-Fi: How Do You Fix It? Wi-Fi, the technology we love and hate. When it works, it is great, but it was never designed from scratch to support things like VoIP. It doesn’t do lots of users well, dies in 2.4 GHz if the closest microwave over is too (RF) loud, and has gone through numerous iterations of security fixes and technology upgrades to push the broadband bar higher. Building Wi-Fi meant a lot of rough edges getting rolled into its rapid deployment over the past two decades. Different issues this month point out that Wi-Fi’s rough edges are starting to catch up to it. I'm hoping sooner or later we can reach a consensus on how to fix things. 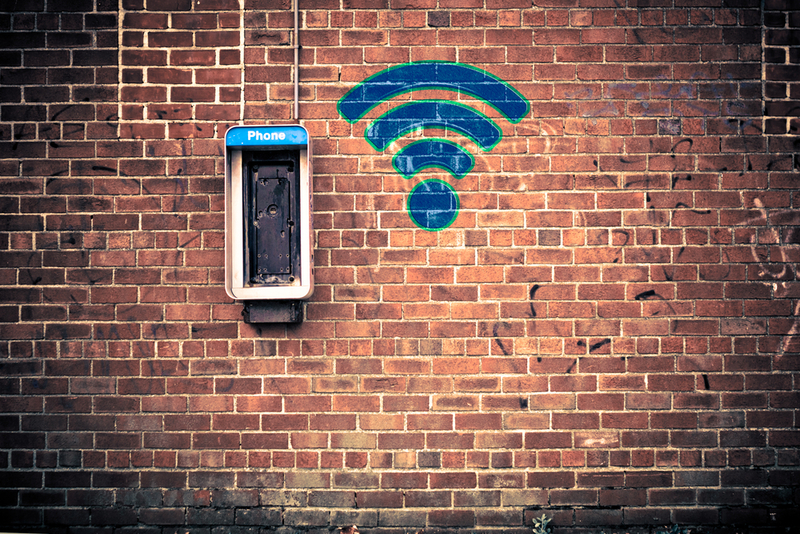 Back in July, the Federal Communications Commission (FCC) issued a Notice of Proposed Rulemaking (NPRM) to lock up source code for Wi-FI access points. Over the years, a number of open source solutions have emerged for consumer-grade hardware, enabling people to tweak the operating parameters of the radios to do such things as put out too much power or operate on frequencies that aren’t supposed to be used in the United States due to licensing or interference issues. Apparently some inconsiderate actors pumped up the volume via power of off-the-shelf routers with open source software outside of FCC limits—i.e., illegally—resulting in interference with airport weather radar. NPRM 15-92 proposes that devices not work with unapproved software that adjusts the radios, with security features that prevent the installation of said software. Openness advocates fear that manufacturers will take the path of least resistance and figure out a way to block any sort of unapproved third-party software from being loaded onto hardware. The FCC says it isn’t out to get open source software, but just wants manufacturers to block access to people being able to muck with radio parameters outside of established limits. Advocates say third-party development comes up with a lot of bug fixes and enhancements that manufacturers aren’t providing and locking them out would effectively kill off a lot of Wi-Fi gear dependent on an open source ecosystem. I'm not sure there is a clean answer, other than physically fixing the power of the radios. And that is an ugly fix, because it means you can't do smart radios that can be tuned up and down depending on the RF environment and what country you might be in. The FCC has extended its comment period on 15-92 and the agency will likely take longer to write up rules for future devices. What exactly happens to the millions upon millions of devices already out there? I guess the FCC hopes they "legacy out" (die). The emergence of LTE-U for use by cellular carriers is also stirring up the Wi-Fi community. LTE-U would enable a carrier network to connect with a device using licensed spectrum, but look for available unlicensed unused 5 GHz spectrum to open up a high-speed data channel when needed. Unlicensed spectrum, as defined by the FCC, means anyone can use it. Yes, even cellular companies holding licensed spectrum. However, the Wi-Fi Alliance and the cable industry view LTE-U and similar tech as an encroachment upon unlicensed frequencies to try and squeeze out Ye Olde Wi-Fi and all of the software and apps that have built up around it over the years. Samsung and Verizon are planning to test LTE-U small cells in the enterprise this fall, with testing wrapping up at the end of 2015 and Samsung making its hardware commercially available in 2016. AT&T plans to test LTE-U later this year or early 2016 while T-Mobile probably has run tests and plans to roll out LTE-U the week after the FCC passes on its blessing. Initial testing by the LTE-U community says its test gear works well with existing Wi-Fi hardware—even better in some cases than Wi-Fi hotspots work with other Wi-Fi hotspots. The Wi-Fi Alliance is making noises that it wants to conduct its own tests and the FCC shouldn’t allow LTE-U out the door for field testing until its testing is complete. Expect more fighting before this is over. But Wi-Fi should look to clean up its own house as it tries to define its "hold" on unlicensed spectrum. There's a lot of old, pre-this, kinda-sort-standard equipment out there that happily operates in unlicensed bands, but doesn't do so as elegantly or as efficiently as the latest and greatest gear. Some big vision plans on how the Wi-Fi community plans to clean up its own house would be useful right about now.